Home / Digital Camera Comparison / Canon EOS Rebel T5i vs 60D Comparison, What’s the Difference? The Canon EOS Rebel T5i happens to be the most recent entry of DSLR for this particular company. It was introduced during March 2013, which was merely 10 months after the old T4i. This new t5i and the old EOS 60D are in the middle range when it comes to Canon. However, there are many differences between the two. 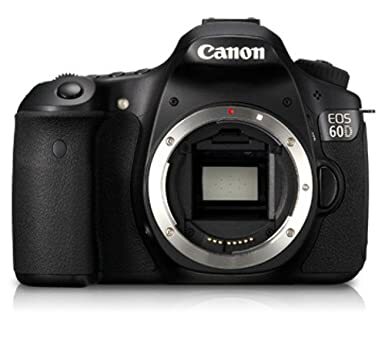 The T5i is more of a layman’s model and the EOS 60D is considered to be the model that a professional would use. When you compare these cameras, you can see that they both have pros and cons and can be recommended to others for purchase. The following we will introduce the difference between t5i and 60D. It is easy to tell the differences between the two cameras that fall within the middle of the road. The 175g moves the 60D in line with the 700D. This is because they have an aluminium chassis that is coated with a polycarbonate skin that has a sealing that protects the camera from getting dusty or wet. The 60D has a better seal and is built better. In terms of quality, the 60D beats the 700D. Also, the 60D has a great pentaprism viewfinder, but the t51 has a pentamirror viewfinder. Pentaprisms are a lot brighter than pentamirrors. But then again, the difference was not noticeable because the 60D did not appear to be brighter than the t5i. Both cameras have a three inch LCD screen that has around 1.1 million points. However, this still cannot beat the 60D. The t51 also has a multi touch display screen. The EOS 700D just like the t51 has a touch screen. The screen is not resistive, which means that just like the Smartphone it reacts to contact instead of pressure. It has the ability to interpret more complicated user use. The 60D has a LCD panel on the top that can be used to check your settings in a fast manner, which t5i lacks. The t5i has a new mode dial that can turn 360 degrees and can continue to turn. The 60D can do the same thing. The t5i also has the ability to provide real time previews of the Live View filters. It also has an outside coating that has a stronger finish. If you are using the auto a mode, the T5i is should be your choice. The 60d becomes beneficial when you commence to playing with camera settings and the great user panel. The T5i’s sensor can provide an added f-stop with high ISO performance. This is when you compare the ISO 12800 with the 60D 6400. No, a higher ISO will not slow down the speed. The T5i has a Canon lastest DIGIC 5 processor, so it can boost the sensitivity range to ISO 12,800. This will enable lens specific adjustments for chromatic aberration and vignetting of the JPEG processor. The traditional autofocus system for the basic eye level use is taken from the EOS 60D. Both of these cameras have 9 focus points that are cross with the center point and offer an added accuracy with quick lenses. Both of them have the same type of sensor. When the ISO setting is low, the images and sound are almost the same. Also, the 60D possesses a faster shutter speed at 1/8000 to 1/4000 and continuous shooting, weather resistant casing and a better quality battery. The t51 has a dual auto focus. This is beneficial in terms of videos. 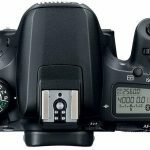 Canon 60D does not have the ability to autofocus when you are shooting a video. The t51 is better because it can shoot video with stereo sound. The 60D only has mono sound. The 60D also has batteries that are bigger, which greatly affects your battery life. It can extend the life almost two times as longer. It gets about 1100 shots for each battery. The t5i only gets about five hundred. The 60D also has a higher FPS shutter speed as opposed to the t5i. Also, the 60D is somewhat larger and more studier, but there is not a huge difference in that respect. Also the 60D has a LCD screen on the top. The t51 has been updated EF- S 18-55mm f3.5-5.6, which has a STM that will allow and quieter movie focus and it also has a front area that does not change. T5i vs 60D, Which is the Best? The one that you get will depend on your personal preferences. If you have big hands, then get the 60D. If you are a professional, then you would consider the 60D because it lasts longer, is built better, has a larger buffer, has an ergonomic design, an additional control dial, a better viewfinder and a LCD screen on the top. This will make it easier for you to get better shots in the long run. In addition, the 60d is larger and sturdier. It makes it easier for you to grip and balance if you want to buy better lenses. If you get the 60D, then it is recommended that you don’t get the old 18-135mm lens to go with it. As an alternative, get just the body and then get the new 18-135mm IS STM instead. If you really like your iPhone and you really like the touch screen option, then buy the T5i. The touch screen is really popular. If you are a beginner or have children, you will like that the T5i is not as large as the 60D. Also the T51 has auto focus that can be used when shooting videos. It also has a stereo microphone that makes it easy for you to shoot the video and not have to worry about manually focusing or carrying around accessories just to get decent sound. Where can Buy the Canon T5i or 60D? Good review, to the point and not too much nuts and bolts. I have the 60D, I love it. It came with the 18-200 Zoom kit lens. a lot of people poo poo the lens but it has given me very good results over quite a range. Yes there are better lenses out there but you can more than get stated with this one. Having used this camera for a year now, i am deeply smitten with the 70D. It is better at video, it has build in HDR, it has built in WIFI so you can bounce pictures through your Android smartphone to the cloud (or wherever) and it can take the GPS module so you will always know where you took the shot. To sum up. The 60 rocks. it’s a good solid camera that never lets you down. I have never run out of power on the battery. a 32Gb memory card can hold around 1400 pictures (i shoot Jpg and RAW) so that is pretty much a full battery, (never ran out of juice yet) but if you can afford the few extra $$$, the 70 might be worth it. they are both clipped frame rigs and for some, the extra abilities of the 70 are worthwhile. And the old rule applies, half your budget is the camera, the rest is your first GOOD lens. What one depends on what you mostly shoot. I nabbed a Sigma 150-500 tele zoom. Got a great price on it and for the distant stuff, it’s a decent unit. a $6000+ one is beyond my budget but the $1K for a little darker lens is acceptable. soy profesional, pero me quedé sin equipos por robos y enfermedad, pero para volver a reiniciarme, estoy hace meses estudiando el tema, y con este articulo, no me queda duda que mejor compro la t5i, accesorios de protección y un buen objetivo, además, puedo hacer documentales o buenos videos, y empezar a ahorrar para tener el día de mañana una cámara profesional como tal, gracias! Thank you for this comparison. I’ve been thinking about these two for days, and even thought of getting a 70D instead just to make up my mind, but that would be going way beyond my intended budget. I’m getting convinced on the 60D. Thanks! Thank you I gonna buy a new camera I’M professional photographer and in my case after this explanation I decided to buy CANON 60D, both camera are good but for my job 60D is more resistent. Thanks for the decent review. Do digic 5 processors gives better ISO performance than digic 4 ?? Thank you for this straight forward review. This will be first camera at this level. It will be used 80% personal and 20% pro. Even though its mainly for personal use the 60d sounds better because if I choose to do more pro work with it, I have a better foundation to build on. If that makes sense. What lense do you recco’ for portraits? Great review! Love the way you did the comparison and then the summaries of ‘design/control’, performance, & how to choose which is best for the buyer. Thank you! Thank you so much for the review. I cannot make up my mind which one to purchase and this really helped.